If you are a Trustee of a museum or heritage organisation, a new AIM Guide called ‘Planning to Recruit A Manager’ will help you to focus on the stages of recruitment that take place before you even advertise, as well as outlining where you can find more information to help with running the recruitment campaign itself. Written for AIM by Alex Lindley – the director of Alchemy, a HR and Organisational Development consultancy – and funded by Arts Council England, the guide is free to download on the AIM website. Alex Lindley has also written some top tips on recruiting a Manager for AIM members. Does your museum need financial or practical support for a conservation project? AIM members can now apply for the next round of our conservation grants which closes on the 31 March 2019. We can offer grants under the following schemes thanks to funding from The Pilgrim Trust: Remedial Conservation Scheme, Collections Care Scheme and Collections Care Audits. For full information please visit: AIM Conservation Grants. As part of out three year partnership with the Charity Finance Group, AIM members can now view a webinar hosted by Richard Sagar, Policy Manager at the Charity Finance Group, with HMRC in order to address some of the key questions cropping up around Making Tax Digital in the charity sector. Making Tax Digital is the latest major new regulation coming into force this year and will affect all VAT-registered organisations with taxable turnover above the VAT registration threshold. HMRC will require records to be kept in digital format, and VAT Returns are to be filed using specialist software. Get ready for the deadline of 1 April with some advice from the webinar here. CFG’s Midlands Conference – Only £139 For Members! Museums And Galleries Tax Relief: Can You Offer Feedback To Arts Council England? If you have successfully claimed Museums and Galleries Exhibition Tax Relief, then Arts Council England would like to hear about your experience. How easy was the claim to administer? Were there any costs involved? What impact has the money you were able to claim made on your museum? The aim with collecting this information is to work with government to ensure that the claim process is as simple as possible but also to highlight the value of the relief to museums. Please email Ross.Burnett@artscouncil.org.uk with your feedback by 28 February. Don’t forget that you can enter your museum volunteers for the Volunteer(S) Of The Year Award at the annual Museums + Heritage Awards. Designed to be a real boon for those who work so hard to make a difference, this category is in partnership with AIM and is free of charge to enter and open to all museums, galleries, gardens, landscapes and heritage visitor attractions across the UK. The award-winning movement, Disabled Access Day, is set to return on Saturday 16th March 2019 and AIM members can still signup to take part. One in five people in the UK are disabled and have a collective spending power of around £250 billion. Museums and attractions are being urged to make the most of Disabled Access Day and the accessible tourism market by ‘trying something new’ to welcome disabled visitors. For full information – including ideas on how to get involved – please click here. Recently launched by the Ministry of Housing, Communities & Local Government, the new Future High Streets Fund will help local authorities in England to transform their town centres and make them fit for the future. With £55 million earmarked to restore historic buildings and other opportunities for creative partnerships between museums and local government, we encourage AIM members to get in touch with their local authorities now before the deadline of 22 March. Museums Galleries Scotland, in partnership with Sixth Sense Training, have developed an exciting new opportunity to kick off the New Year. The brand-new Digital Marketing Modern Apprenticeship Programme will allow six Scottish museums or galleries to offer an existing or new employee the chance to learn new skills while undertaking a nationally recognised qualification. Applications close on Friday 1 March at 12 noon. Charity Digital News recently reported that eBay raised £22.5m during 2018 for good causes – up 13% on the previous year. The online auction website has revealed that last year it raised £60,000 a day, which equates to £2,500 an hour for charities. If you have considered setting up an eBay store for your museum, click here for some top tips and advice to help get started. Or take a look at this useful article by White Fuse: How to build a charity ebay shop. 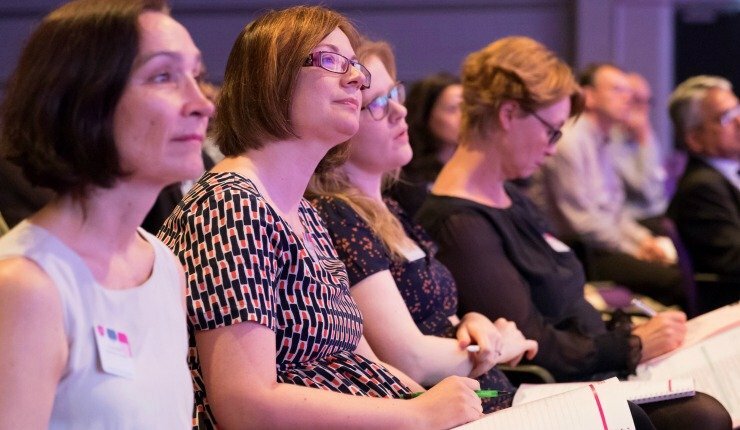 This year’s Social History Curators Group (SHCG) conference which runs 18/19 July in Edinburgh will explore how we represent our audiences and communities in the museum space, and question whether social history collections can do more to improve representation across collections and exhibitions. SHCG is inviting speakers to discuss how we can transform our collections to make them representative and redress imbalances in the museum space. Challenge your ideas about inclusivity and equity in relation to audience engagement at this one-day event from the AMA. It will challenge you, but it will also equip you with confidence to make changes and shape your workplace at a new level. You’ll hear from speakers who will share good practice and help you clarify your approach in engaging new and diverse audiences. Runs 11 February 2019 Conference Aston, Birmingham. This programme is a collaboration between Art Fund and the US-based Association of Art Museum Curators Foundation, to enable UK curators to travel, network and develop relationships with their international peers. Applications are open until 12 February 2019. The Trust supports the conservation of important works of art and objects that are being lost through the lack of funds to look after these works. Conservation Reports need to be completed and available before you apply. The next closing date is 7 February 2019 (midnight) for a decision in May 2019. The Fore is the only open-access funder in the UK offering development funding and strategic support to early-stage charities and social enterprises. Funding of up to £30,000 will be available to support small charities, social enterprises and CICs in their development. Applications open on the 1st April 2019 until the 29th April 2019. Organisations will need to have an annual turnover of less than £500,000. Need A Reputable Supplier Of Products Or Services For Your Museum? If you are looking for a product or service for your museum, then take a look at the handy AIM Suppliers Directory. Featuring a comprehensive list of consultants, insurers, exhibition and display companies – plus a range of other museum related businesses – our Associate Suppliers have been checked by us for quality and reliability. Recent AIM Associate members that have joined us include: 123 Send (card payments systems), Aura Tours (mobile storytelling), Absolute museum and gallery products (Exhibition Display & Storage Systems), Perrett Laver (Recruitment), Ecclesiastical (Insurance), Circle Insurance Ltd (Insurance), Gateway Ticketing Systems (Visitor Analysis), NovaDura (Interpretation and signage), Marge Ainsley (Consultant & Training), Tarnside (Fundraising Consultants). AIM can promote your job vacancies and tender opportunities in E-News and across all AIM social media channels for just £50. With 4,500 people signed up for E-News and over 15,000 followers on social media, AIM can help find you the best candidates for your vacancies. For more information, please click here. Advertising your products or services in the AIM Bulletin is an extremely effective – and indeed cost-effective – way to reach 1,200+ independent museums and heritage organisations. Rates are very reasonable, a free listing on the AIM website is included and supporting editorial in the Bulletin may also be available. Contact Sassy Hicks on sassy@aim-museums.co.uk for more details. To receive each edition of the AIM E-news direct to your inbox, please visit www.aim-museums.co.uk The process takes seconds and you will be instantly added for all future updates. Looking for a new product or service for your museum? Take a look at our very popular suppliers directory, including our Approved Suppliers list!